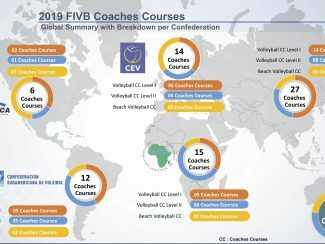 Lausanne, Switzerland, February 5, 2019 – The FIVB Technical and Coaching Commission has approved 74 courses set to take place in 2019. These include Volleyball Level I and II Coaches’ Courses and Beach Volleyball Coaches’ Courses. The first course of the year will be a Volleyball Level I Course, which will take place in Iran from March 3-7. 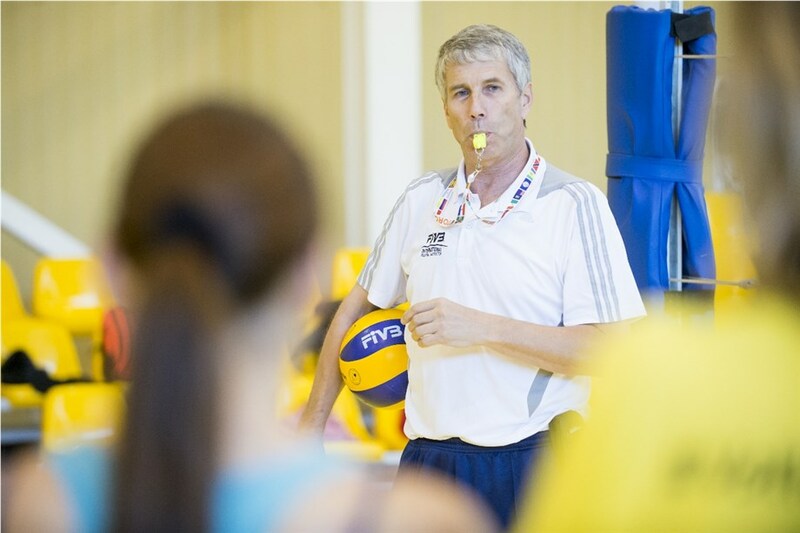 The final course is a Beach Volleyball Coaches’ Course in Venezuela from October 18-22. 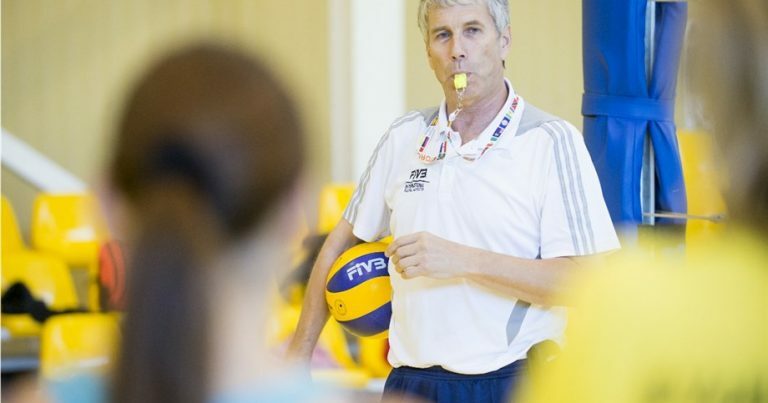 The FIVB has increased the number of courses from 62 last year to 74 courses this year, providing more opportunities to coaches to increase their knowledge of the latest technical and tactical coaching methods. The Asian Volleyball Confederation (AVC) will organise the most courses in 2019 with 27. The Confederation of African Volleyball (CAVB) and the European Volleyball Confederation (CEV) will conduct 15 and 14 courses, respectively. The South American Volleyball Confederation (CSV) will run 12 courses, while the North and Central American and Caribbean Confederation (NORCECA) will organise six. Since the establishment of the FIVB’s e-learning platform, national federations have been empowered through online education courses. 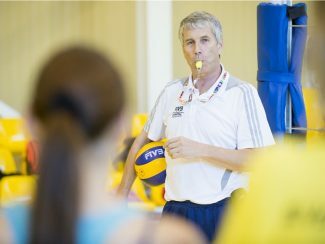 Underpinning the face to face coaching is the online FIVB Coaches’ Resource Centre, which features four courses – Volleyball Level 1 and 2, Beach Volleyball and Training the Trainer. 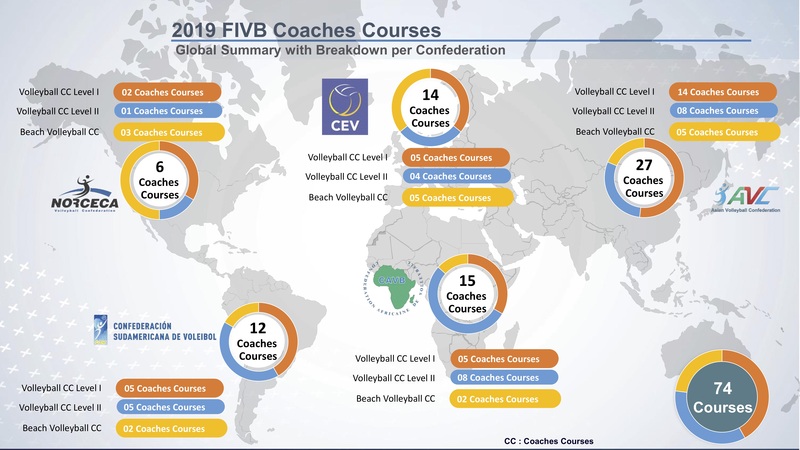 The improvement of coaching development and education, including online education courses, is a key pillar of the FIVB’s efforts to grow the sports of volleyball and beach volleyball worldwide. 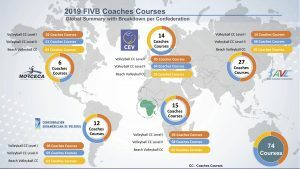 Visit fivb.com’s Development and Coaching pages for more information about the federation’s activities in these areas.